Advertisement on behalf of AIA Atlanta Silver Patron Smith & Howard. Your privacy is our top priority. Your email address has not been shared or sold by AIA Atlanta. Georgia Is on the Rise! 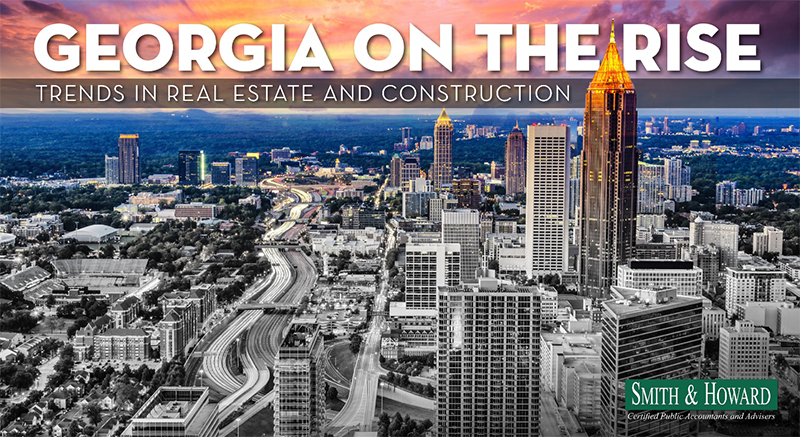 Georgia's real estate and construction industries are soaring. Smith & Howard recently surveyed Georgia's real estate and construction professionals about the past, present and future state of the markets and the results are in! The results of each survey are available by downloading our short publication highlighting key points that are affecting each industry from the viewpoint of those involved.